To encourage users to take advantage of some of GOT2000’s great new features, Mitsubishi Electric have just announced two great special offers. Offer 1: Get a FREE GOT Mobile licence when you purchase a GT25-WLAN wireless LAN module. 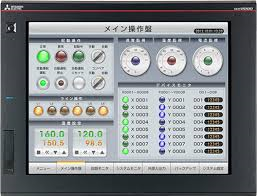 GOT Mobile is the new web server function that allows up to 5 remote users to view a GOT 25 or 27 HMI using standard web browsers, such as Google Chrome or Apple’s Safari. Used in conjunction with our WLAN module, you can create a local wireless network for quick and easy programming and monitoring without the need for cables or opening a control panel. Simply use the new part number (295792) to get a wireless LAN module and GOT Mobile licence for £145. 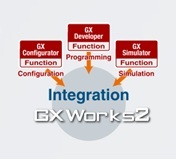 Offer 2: One of the best features of iQ Works2 software is that you can quickly and easily build projects with Mitsubishi Electric products (PLCs, GOTs, Servo/Motion, Robots and Inverters) using the graphic assembly systems and common tag database. iQ Works2 promotes efficient programming techniques and reduces the cost of development. When purchased with any GOT2000 iQ Works2 costs just £250 extra and includes USB and Ethernet cables. These offers are available until the end of 2016 and if you require any further information, get in touch with us.